Notice of potential hazards may be issued by Registered Electrical Contractors (REC) who carry out installation works. If a potential hazard is observed the REC has an obligation to inform the electricity consumer of any immediate or potential hazard. It is important to note that any potential hazard may not necessarily be associated with the REC’s contract of works. Once observed, if the electricity consumer or REC is not in a position to rectify the hazard immediately, the REC should then issue a notice of potential hazard or NoHz as it is also known. 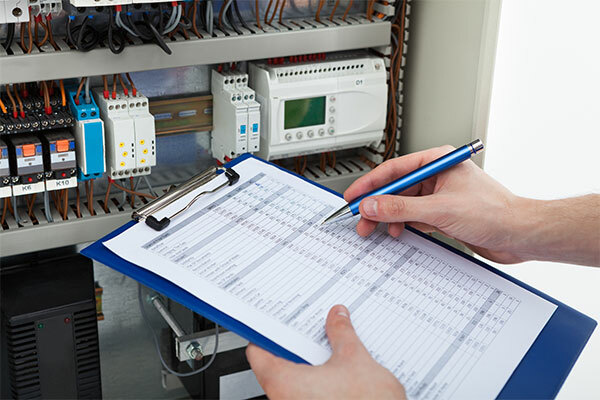 Within the NoHz the associated National Rules for Electrical Installations must be listed as well as the ET101 rule breach number(s), and a brief description of each applicable hazard. The original or White Copy of the NoHz is then given to the person responsible for the Electrical Installation (electricity consumer) and the carbon copy or Yellow Copy of the NoHz should be posted to Safe Electric. This should be done immediately or no later than two working days from the date of issue. The third or Blue Copy of the NoHz is retained by the REC. When Safe Electric receive their copy they then contact the electricity customer advising them of the hazards and recommended course of action. Where deemed necessary, Safe Electric can escalate the issue and will send a copy of the NoHz to the HSA. Peace of mind that your electrics are safe for you and your family.